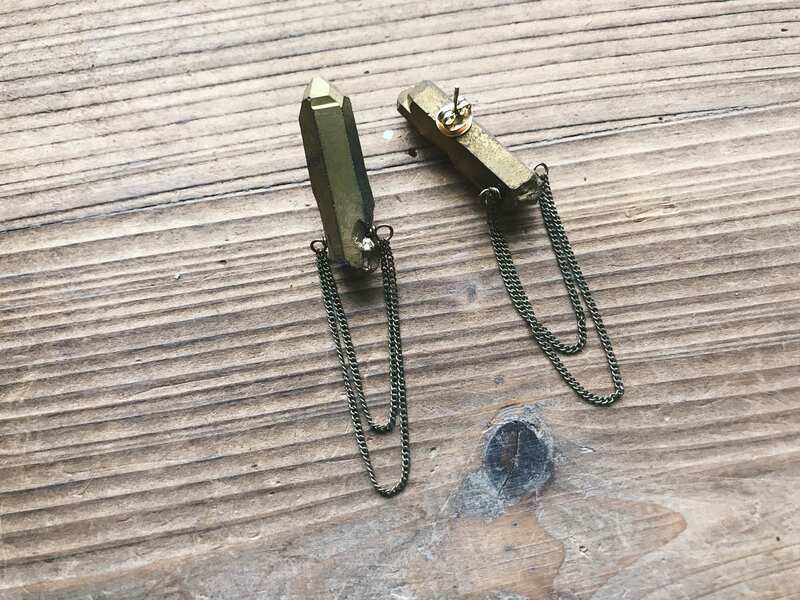 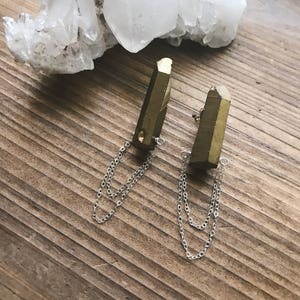 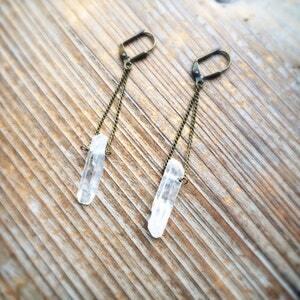 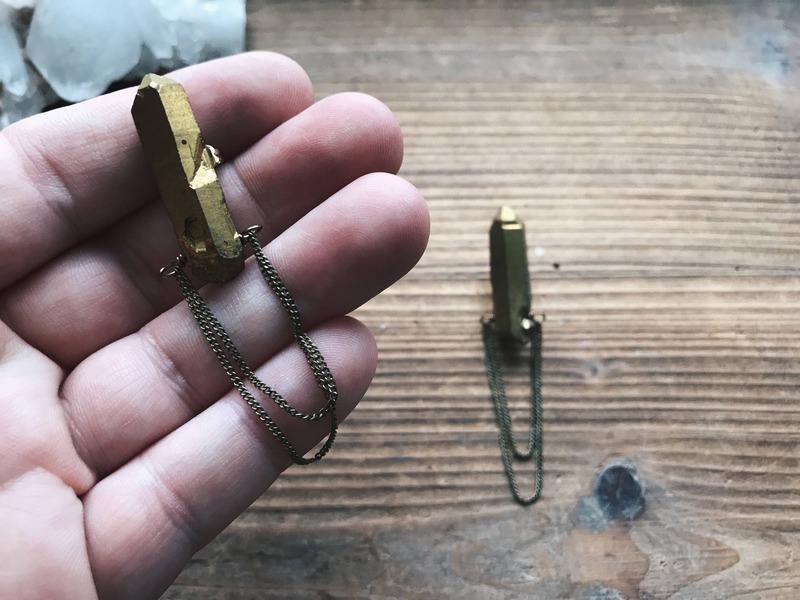 These stunning quartz earrings combine gold quartz daggers and brass chain for a one of a kind statement piece. 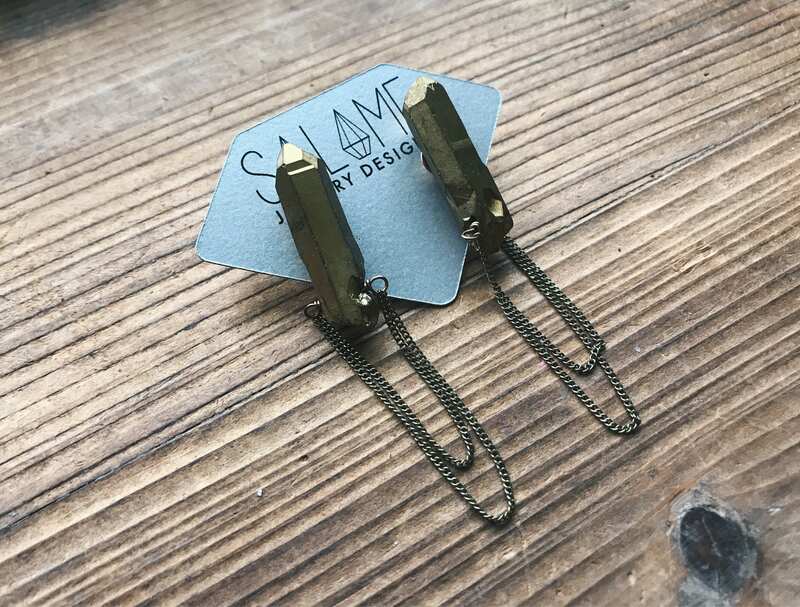 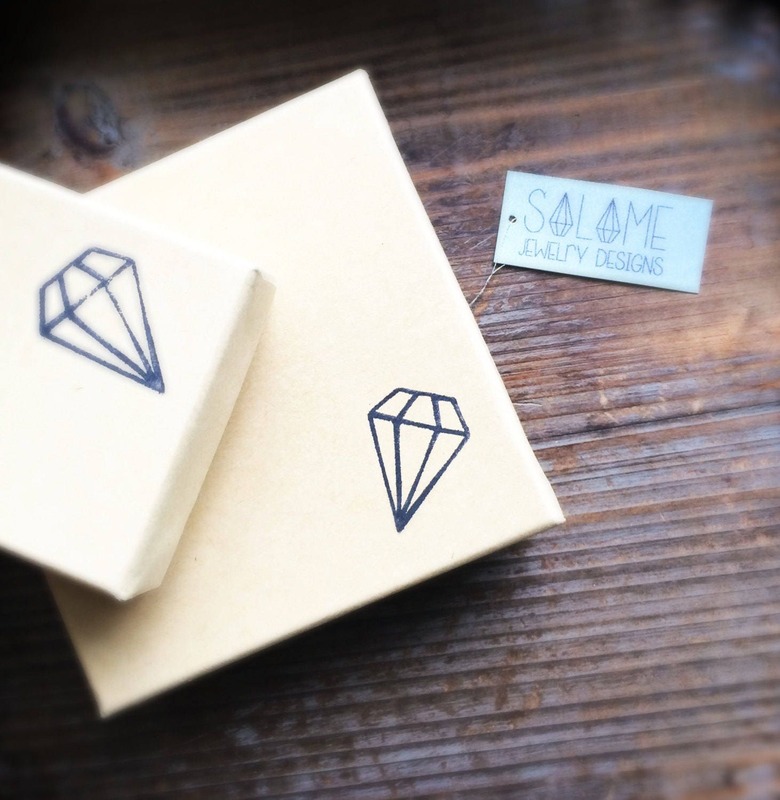 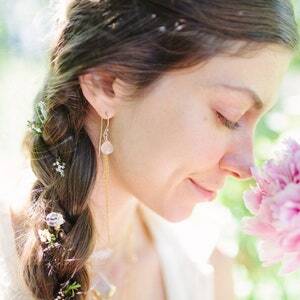 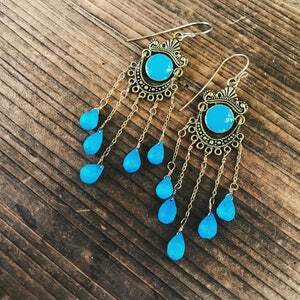 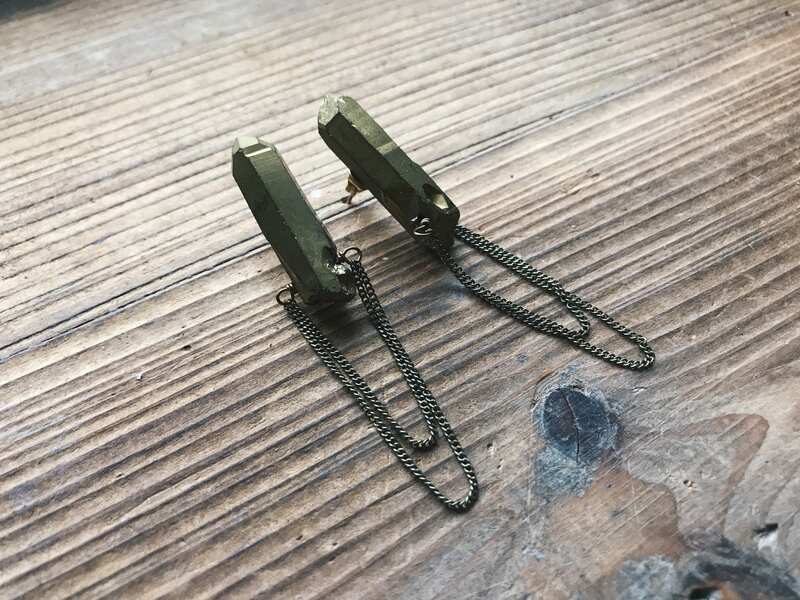 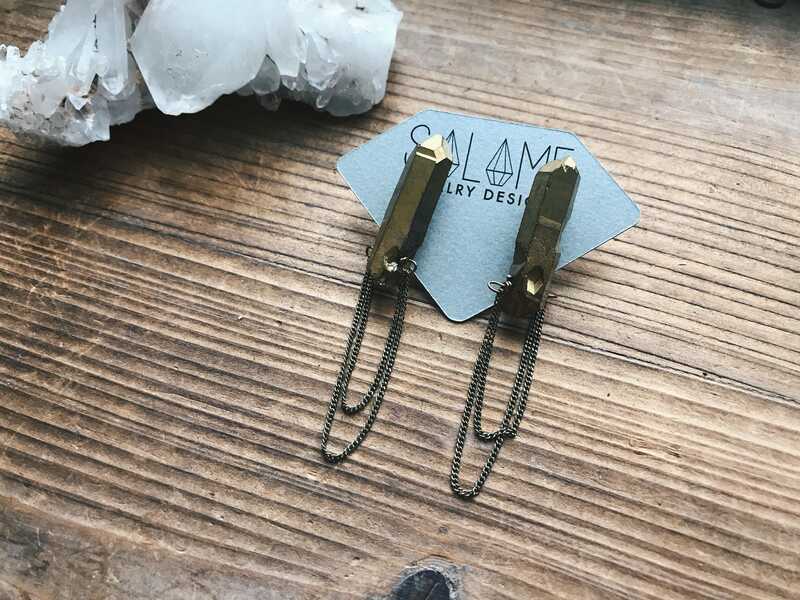 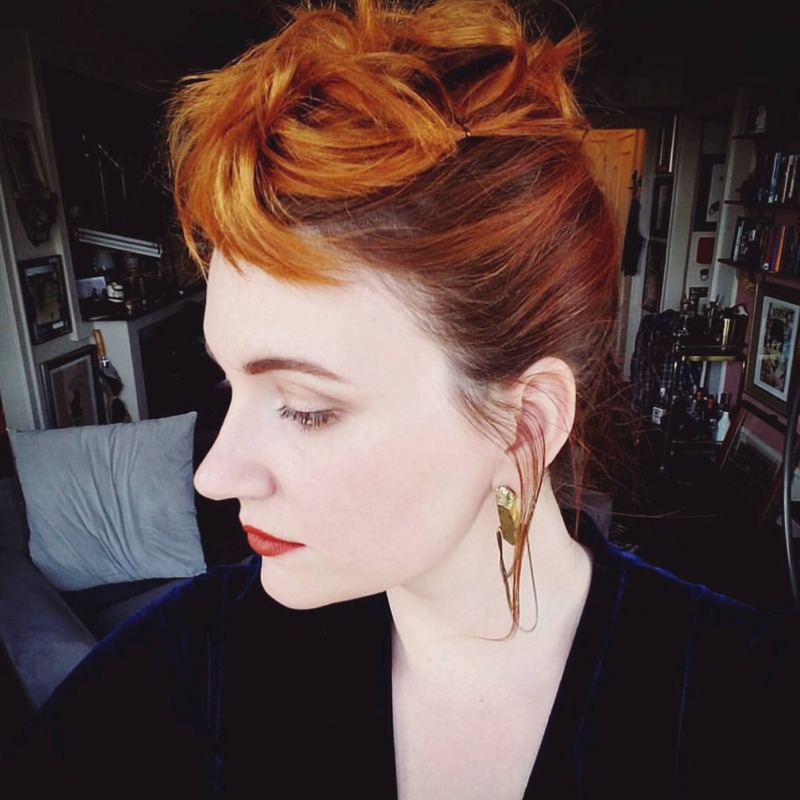 These earrings are perfect for any edgy and stylish babe. 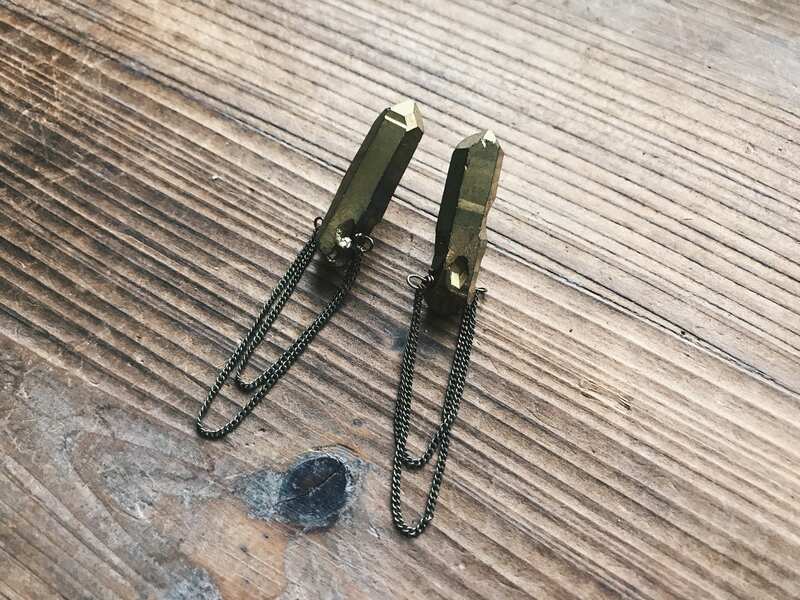 Earring posts are lead and nickel free and secured with jewelry strength epoxy.